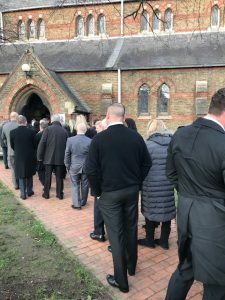 Over 200 people came to the church on Friday 18 January for the moving funeral service of popular local man, Walter Thomas Newton, fondly known as ‘Porky’. 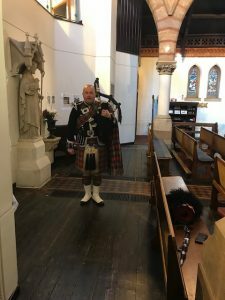 He was brought into the church to the sound of bagpipes. God bless all who will miss him.